I am the Arctic, I am about 6% of this planet’s surface. I am home to around four million people. I have watched indigenous peoples grow up here for thousands of years. I provide fish, especially in the sub-polar Bering and Barents seas. I provide soils for reindeer herding. My great Siberian rivers flowing into the Arctic Ocean provide fresh water. 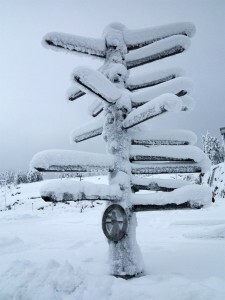 I provide income from tourists visiting my incomparable landscapes and participating in dogs-sledding and ice fishing. I provide inspiration for culture, peace and serenity. Some worship me for my wide landscapes. I am heating up at about two to three times the global average. Before mid-century I will have a nearly sea ice-free ocean in early autumn months. This makes my coastlines vulnerable to possible storm surges. I am suffering from the destruction of habitat important for reindeer herding and for key Arctic species such as seals and polar bears. I also have a key role in some planetary boundaries that are being crossed – in terms of climate change, biosphere integrity, land system change and ocean acidification. At the same time, your interest in me has no depth, its boundaries are ever-expanding. With my ice cap receding and your technologies improving, I am the solution to satisfy future strategic oil, gas and mineral needs. You want to access my opening Northwest Passage and especially my Northern Sea Route with your impressive tankers, cruise liners and refrigerated vessels carrying fish. Some say that commercial fishing in my territories is important for global food security. For the rest of the world I may sometimes be considered as a tool for growth and development in terms of Gross Domestic Product (GDP). But am I not more than just GDP? Do you think you are better off without me? You are privatizing my oil, gas, mineral and metal resources. But would you make the same economic decisions if you incorporate the real value of my ecosystem services that may be degraded as a consequence? Do you know what it really costs to replace some of my services provided for free? And what about the risk of losing some of my irreplaceable services, such as climate regulation? What will happen when I lose my function of air conditioning for the rest of the world? And my fish? I provide habitat for fish that are caught to be sold for local subsistence and even for food security beyond the Arctic. Some commercial fisheries are treating me as a free lunch. The total landed value of marine species in the Arctic region may not represent a critical share of an Arctic country´s GDP, but it is a fundamental revenue share for the coastal communities and subsistence fishers. By-catch of king salmon in the Bering sea, for example, affects Yupic fishermen on the Yukon river. This may take away their basic livelihood and even deny some fundamental human well-being dimensions such as freedom of choice and the right to food. There is an impressive amount of cooperation on my territory, both at the science and the policy level. Governments work together to implement changes in their legal and regulatory framework. But often we are not speaking the same language. Your economic decision making should really not be a polar opposite to my wellbeing. While you should not reduce me to the economic value I provide, the valuation of ecosystem services provisioning and biodiversity may be used as a policy tool for addressing some of my concerns. First, I don´t want people to put a price tag on me and to treat me as a commodity. To put it very simply, price is not value. My ice cap and water is not priced, yet it is more valuable than my oil reserves. Indigenous Peoples in the Arctic also value nature and consider my natural surroundings as a source of inspiration. ´Pricing´ this cultural value is simply impossible and undesirable. But at the same time, the cultural values that approximately 400.000 Indigenous Peoples hold for their nature should be included in policy decisions, for example through mechanisms for valuing in non-monetary terms. Second, do not wait for perfect information to act and call upon complementary approaches such as ´safe minimum standards´ and the ´precautionary principle´. In circumstances of uncertainty due to the crossing of ´tipping points´ beyond which my capacity to provide useful services may be drastically reduced, economic valuation tends to be less useful. For example, I am increasingly releasing stored carbon as permafrost thaws, amplifying changes and moving my system away from its equilibrium state. My rich fish stocks may rapidly decline due to interactions among several forces and cumulative impacts. Nobody knows what irreversible damage an oil spill in ice conditions may cause to my ecosystem services provisioning. Once this floor or ceiling is reached, I will change the rules of the game, whether or not you like it, and whether or not you have planned for it. Third, my value for you is largely dictated by socio-cultural values, norms and beliefs, and there exists a plurality of worldviews with the people that call me home. A best available value may be estimated, but different interpretations of ´value´ will exist, none of which should be perceived as either incorrect or invalid. A last concern is that economic valuation of my ecosystem services should clearly distinguish which dimensions they do and do not cover. You would not state the total value of ecosystem service provisioning. Instead, you would for example state the increase in value though reindeer herding based on Ecosystem based Adaptation (EbA) principles, while highlighting at the same time the important benefits for local communities; and you would showcase in non-monetary terms its cultural value for conserving or restoring traditional ecological practices compared to other scenarios. We are really no polar opposites! I am becoming the symbol of the age of the Anthropocene, with humans as a determinant species for my future. This is an extraordinary responsibility to define the life of future generations. But you should also value me for what I am –irrespective of my current or future use by humans. I have basic rights and these need to be recognized! And these nature rights can simply not be part of your economic value calculation. Monetary values can be a complementary rationale and should not in any way undermine the recognition of my intrinsic values. Let us make a fresh start again! I truly believe in the development of a new economic pathway: one in which my values are fully reflected in public and private decision-making; one of increased investments in my productive capacity, such as my fish, tundra and water; and one of a broadened focus from short-term stability to long-term resilience. The opinions expressed herein are solely those of the authors and do not necessarily reflect the official views of TEEB Office or its Partners. A TEEB for the Arctic Scoping Study is currently under review. The scoping study provides general information and discussion on Arctic ecosystem services, policy context and governance aspects. It represents a first important step towards further policy refining, appropriate scoping and boundary setting for a full TEEB for the Arctic study. Additionally, as mentioned by the CBD in a recent article published in ´The Circle´ (WWF Global Arctic Programme), TEEB for the Arctic can play an important role and add further value to the policy foci defined in the Arctic Biodiversity Assessment (ABA), carried out by the biodiversity working group of the Arctic Council (CAFF) (e.g. 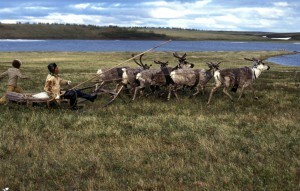 reindeer herding, marine conservation).